This bushy, annual wildflower is native to the Canary Islands, but has adapted to conditions found in northern North America. 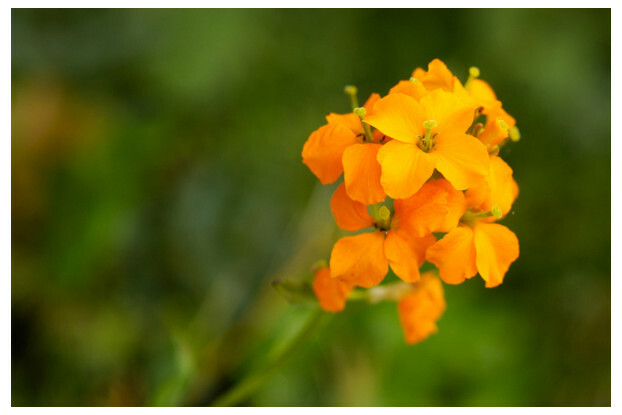 Wallflowers get their name from their habit of growing in cracks and crevasses along buildings. 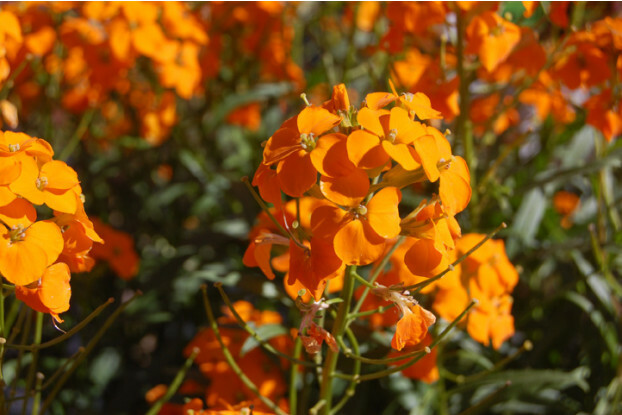 It produces a brilliant orange ball of flowers and blooms from April to May. 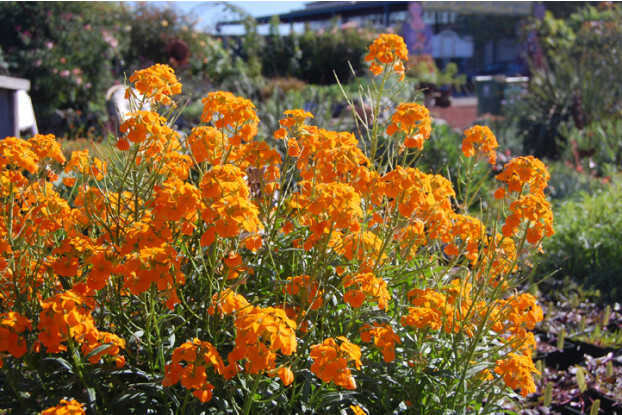 Wallflowers thrive in full sun but can handle partial shade in well-drained soil. Wallflowers usually don't get more than a foot and a half tall. It is a good wildflower for roadsides and along fences.